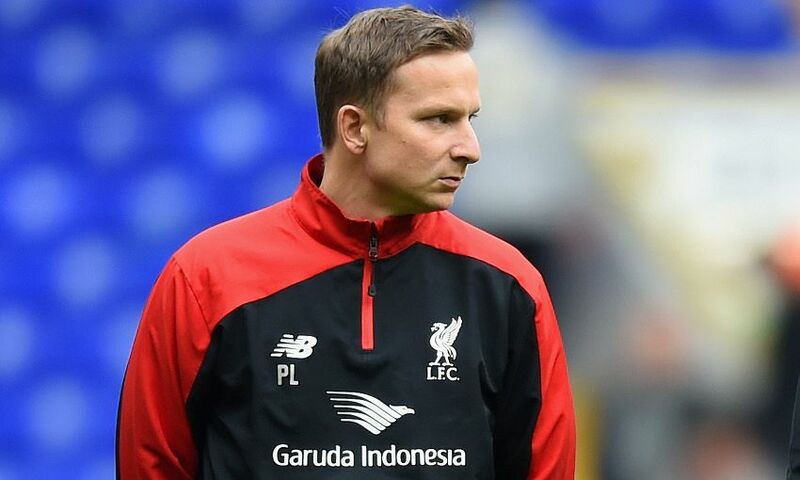 Ahead of Tottenham Hotspur's visit to Anfield in the Barclays Premier League this evening, Liverpoolfc.com sat down with first-team development coach Pepijn Lijnders to preview the fixture. As part of an in-depth discussion, the Dutch coach compared the two teams' tactical approaches, revealed the aims of Jürgen Klopp's oft-referenced 'counter-press', and explained just how to keep a player like Harry Kane quiet. Read on for a full transcript of the interview. It’s a game for the public because you’ve got two teams who don’t play possession [football] to pass the ball but play it to attack the opponent, so I’m sure it’ll be an attractive game. It’s two teams who want to be dominant in all aspects of the game, and two teams who have players who are creative, can make the decisive passes, and are good in the one-v-one situations. We look forward to it because we’re playing against a top team. First of all, the counter-press for us is an offensive weapon – it’s the most offensive weapon in football if you apply it in an intense way and if you’re good enough in possession to move the ball in the final third. For us, counter-pressing is not a proposal, it’s a law. If you win the ball high up the pitch in situations where they recover possessions, it means that they open up, so we use it as a weapon to create chances, not to get back in possession. We use that moment of high, high intensity pressure to get a player in front of the goalkeeper, or away from pressure and breaking on the other side. Both teams apply it in a different way. We see it as one of the main principles that creates our collective identity. You see our players start making decisions when we lose the ball in order to regain possession as quickly as possible. We have big [energy] when we lose the ball so it’s getting better and better and for us it’s really important. We see defending as our first offensive action because we like to have the ball as high as possible up the pitch. Preparing pressing situations and counter-pressing are two main principles and if you want to be dominant, flexible in possession, and you want your most creative players on the ball [you need that]. We want to be a dominant team, not only on the pitch, but also in the league. The best players in the opposition team should have the least time and the least space possible on the pitch. Against most of the teams we play, the best players are between the lines, or on the outside, or the No.9 position. So there are certain positions we want to double mark, we want to create two-v-one defending situations where one player really has the possibility to win the ball, and if he doesn’t get it there’s always a second player nearby to steal it. This doesn’t change for Harry [Kane] or the other strikers in the Premier League, but it’s really important that a team not only plays toward [the opposition's] best players but also to the ball. So, if the ball moves in a certain direction, our collective moves in a certain direction. If the ball moves at a certain speed, our collective moves at a certain speed. Of course, the moment these players get the ball, when they have created solutions [to find space] in and around our box, it’s not allowed. The best defenders, they don’t have a chance in bigger spaces, so they need to -– as a collective – defend those situations really well. It’s not up to one player, it’s up to the collective. Defending is about avoiding situations like that where the opponent can be dangerous. How can we avoid it? Stop the pathway to those players. Again, as a collective, [we must] play against the ball, set traps where we want to press them and win the ball. But again, because we want to be dominant – we want the ball. In the game it’s really important that you know where the space is in the opponent’s backline. What happens if we play in a certain way and we bring the ball down the right side – do they leave space on the other side or the middle? Where are the gaps, where can we eliminate their lines to bring the ball forward? We have players who are extremely good in tight situations, who have one-v-one qualities for turning away [from opponents] and keeping the ball to give the front players time to move in behind. There are different ways to disorganise their backline and the easiest way is to outplay, get players in positive dribbling situations, so that’s what we try to create. Of course, if you are good enough at moving the ball in the final third and you risk [the pass], whatever happens with the second ball you can try to score from those. Even if they win the ball in these situations, we can apply counter-press and make the intensity higher than they are used to, and we have enough opportunities to be decisive. Lucky for us we have a squad with many decisive players.